Great potential for this 1440 sq. 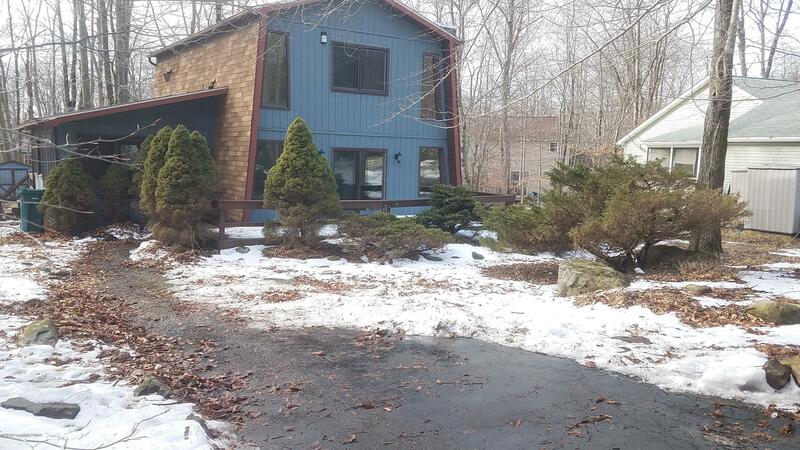 ft., 3 bedroom, 2 full bath home, situated on a slightly wooded .3 acrelot. Property being sold ''As Is''. Pocono Country Place is a gated community with 24 hour security. Community offers pool, lakes, playground,clubhouse. Snowmobile included in sale in ''As Is'' condition.